Our firm holds expertise in offering an exclusive range of Nylon Conveyor Belts. These are fabricated from quality material that make the products durable and long lasting. Due to their vivid functional usage, these conveyor belts find wide applications in textile, mining and printing industries as well as in elevators. Nylon Conveyor Belt are featured with high tensile strength, abrasion and fatigue resistance. Our offered range of belts includes the Industrial Nylon Conveyor Belt, which are used for various small trolley-high speed operations. Owing to their vivid functional usage, these conveyor belts are widely used in Mining, Textile and Printing industries and also in Elevators. Manufactured using advanced technologies, these conveyor belts are provided with power consumption rating in horse powers, which is directly proportional to the thickness of the nylon cone. 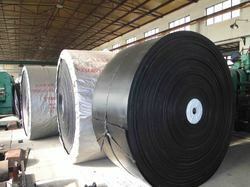 Looking for Nylon Conveyor Belt ?